Serpentine demons. 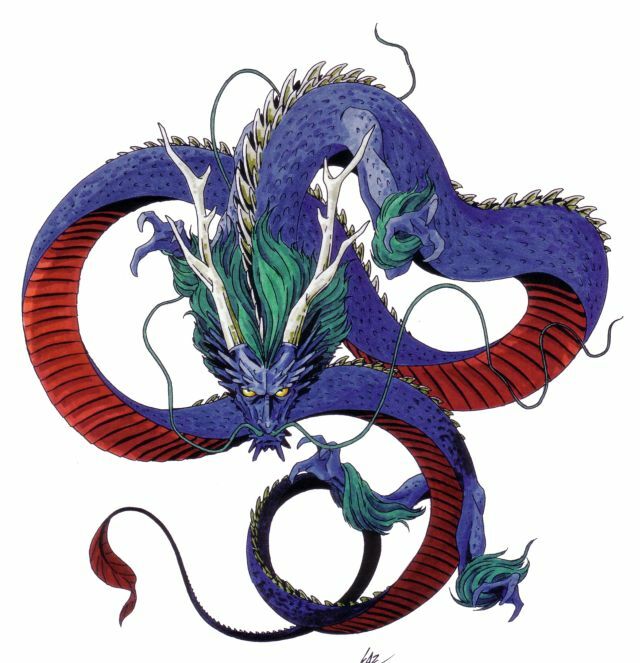 Snakes (sometimes also called Dragon Kings) are normally well-balanced between magic and physical attacks, and are overall dependable allies. A spirit of the earth that is found in open plains or hiding in the shadows of the plants and trees. While it is not an evil or mischievous spirit, it is wild and uncontrollable, thus it will sometimes bring harm to humans it sees as intruders or threats. 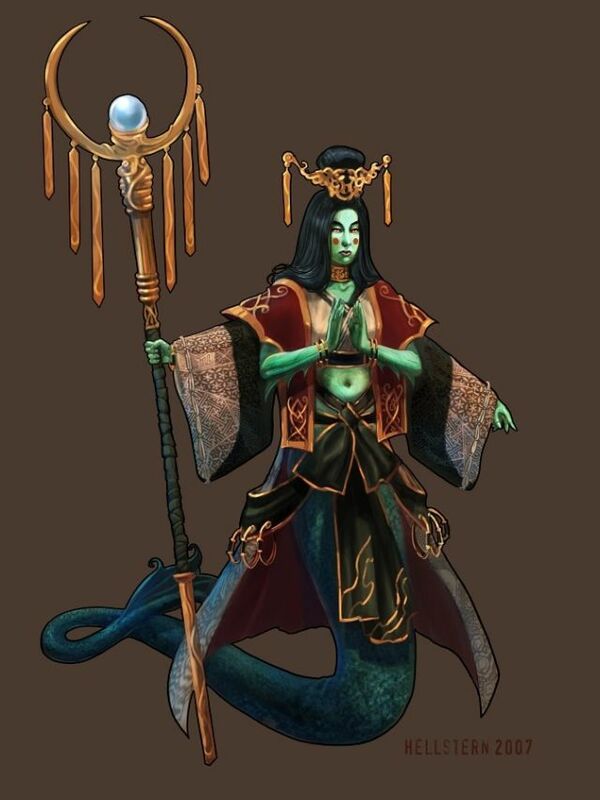 A race of beings in Hindu mythology that are described as large snakes, usually with human-like characteristics. They bring the rain which brings new life, but will also bring flood or drought if they have been mistreated. 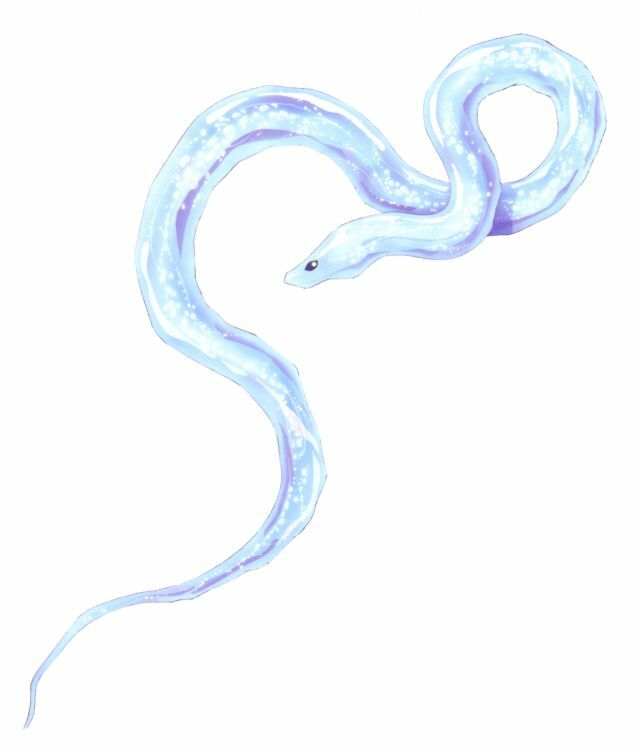 A shapeshifting water snake that inhabits rivers and streams. It is sometimes described as a living body of water, and when a pond is full of fish, it is said that a mizuchi lives there. It can also create powerful illusions to confuse its foes. 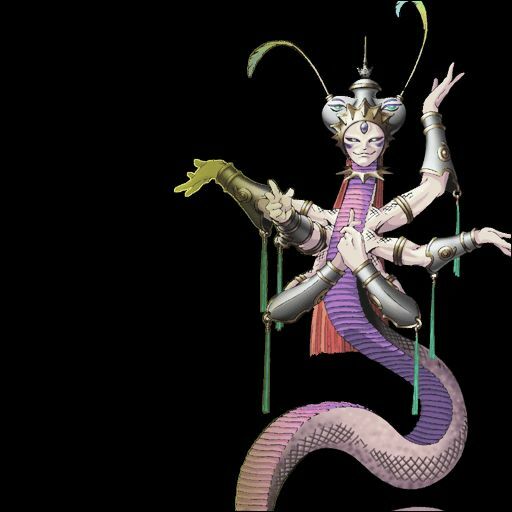 The kings of the Nagas, half-human and half-snake beings in Hindu mythology. The title conferred implies tremendous strength and skill. A great copper snake that is said to bring the rains and thus incite the renewal of life. 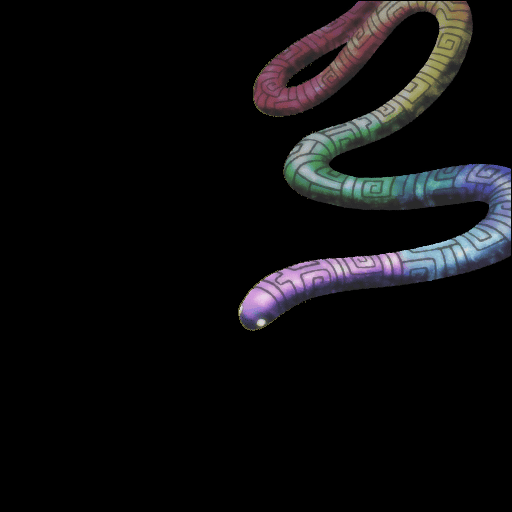 It is commonly known as the rainbow serpent because the water where it lives shines like a rainbow. 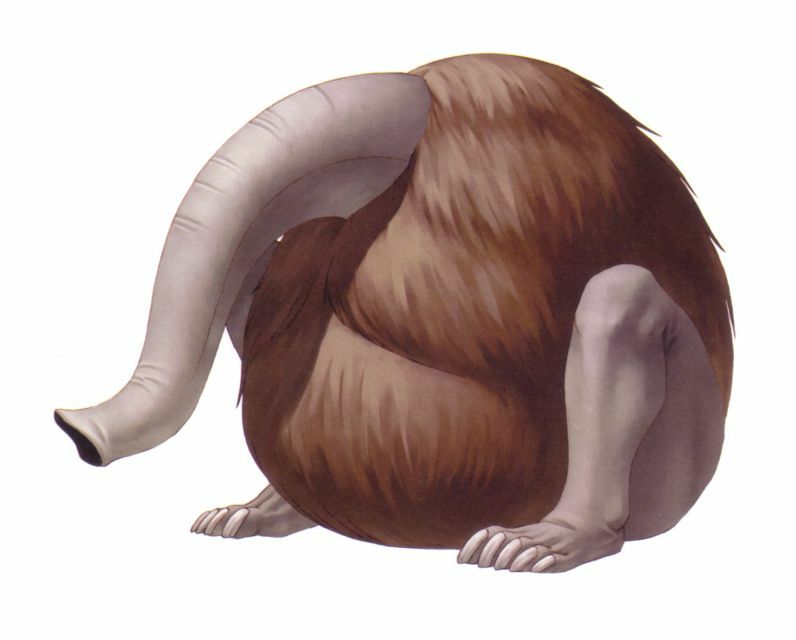 It was believed that if coloured light was seen inside a well, the Yurlungur was within. One of the four Chinese celestial beasts. It is also known as Xuan-Wu, the Black Tortoise, or the Black Warrior of the North. He represents the direction north, the element of water and the season of winter. One of the four Chinese celestial beasts. It is also known as Qing-Long and the Azure Dragon of the East. He represents the direction east, the element of wood and the season of spring. 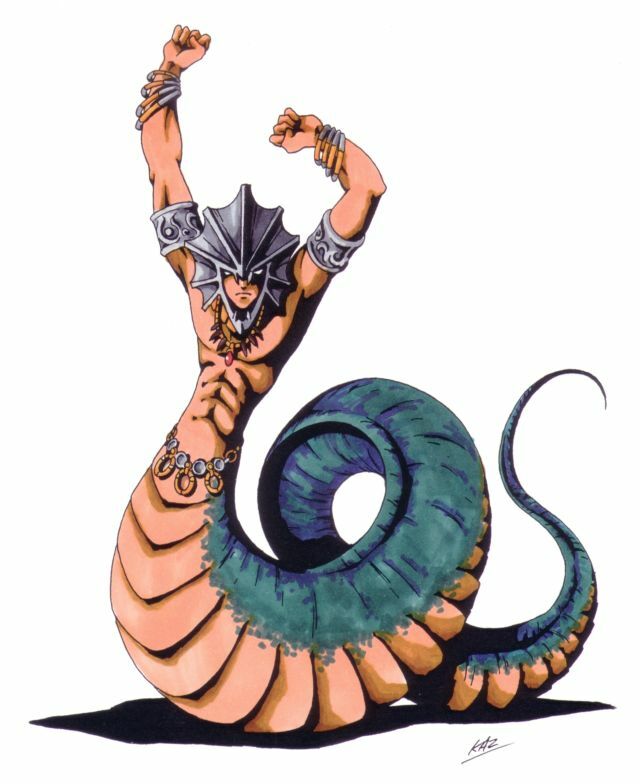 One of the Eight Naga Kings of Buddhist mythology. Before his time serving Buddha, he appeared in the Mahabharatha after being forcibly evicted from his home by the Pandava family. He sought revenge and began a war that ended with his defeat and a mutual peace between the two kingdoms. An Aztec sky and creator god. 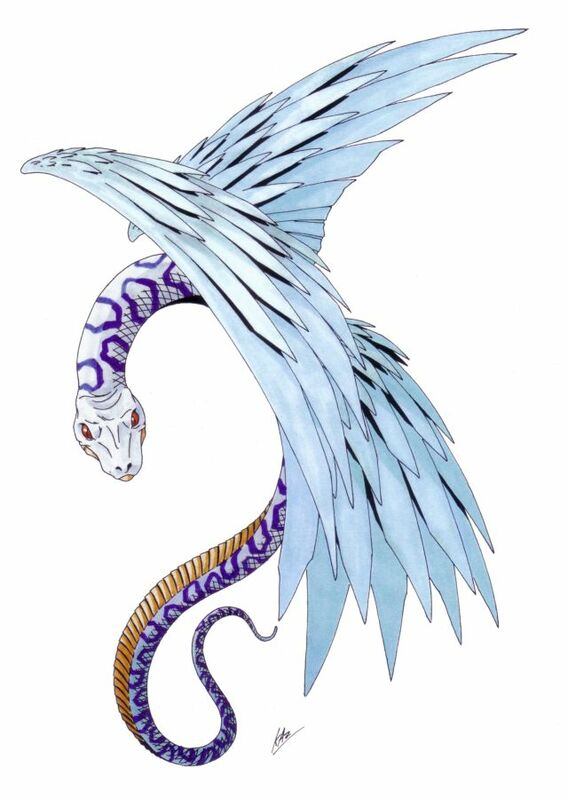 The name is a combination of quetzal, a brightly colored Mesoamerican bird, and coatl, meaning serpent. 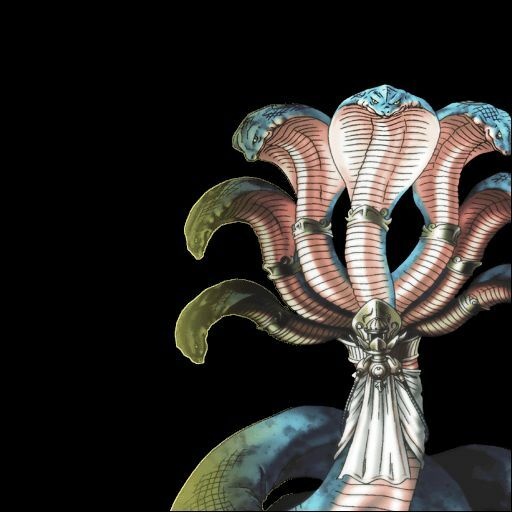 He is often referred to as The Feathered Serpent, is connected to the planet Venus, and was the patron god of the Aztec priesthood, learning, and knowledge. 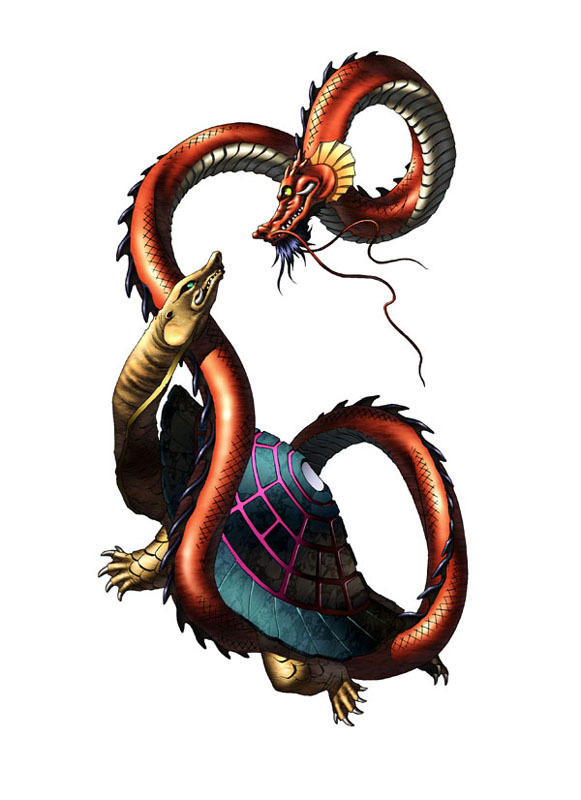 One of the great kings of the nagas in both Hindu and Buddhist mythology. He is portrayed as a great serpent with a human head and a gem engraved in his forehead. In Hindu mythology, Vasuki allowed the devas and asuras to use him as a rope to churn the great ocean of milk in order to create the elixir of immortality, but the strain caused him to exhale a powerful venom called Halahala. The World Serpent of Norse mythology. It is said that Jormungändr can circle the world twice and grasp his tail. During Ragnarök, he will poison the sky and be slain by Thor, but will poison Thor such that he dies himself after taking only nine steps. 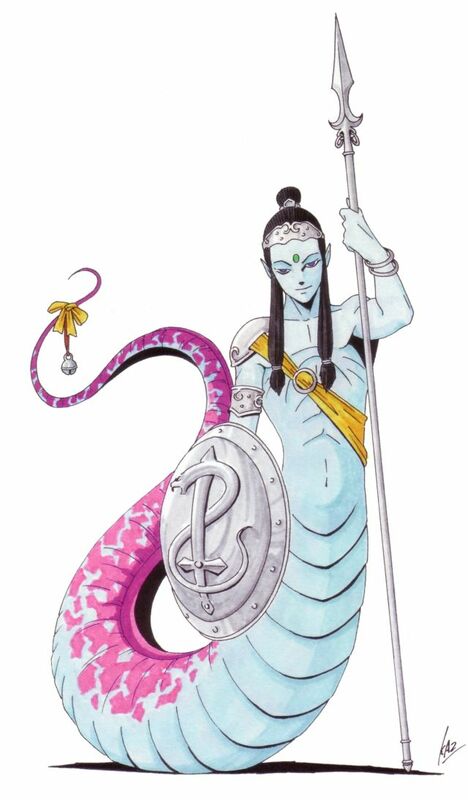 The king of all nagas according to Hindu mythology and one of the primal beings of creation. His title, "Ananta," means "Endless," as he is said to hold all the planets in the universe on his hoods. 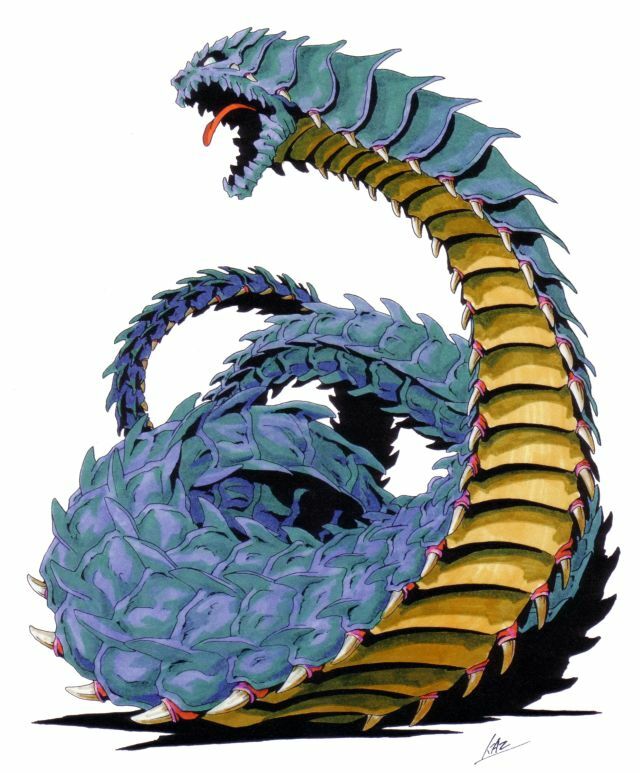 He is usually depicted as a massive coiled serpent with as many as five to one thousand heads, sometimes wearing an ornate crown on each head. The heads are not only venomous but spew fire. He is used by Vishnu as a bed.